Spoiler Warning: Make sure you’ve seen last night’s episode of Arrow before reading this post! Oliver Queen is finally out of prison and Ricardo Diaz is behind bars. 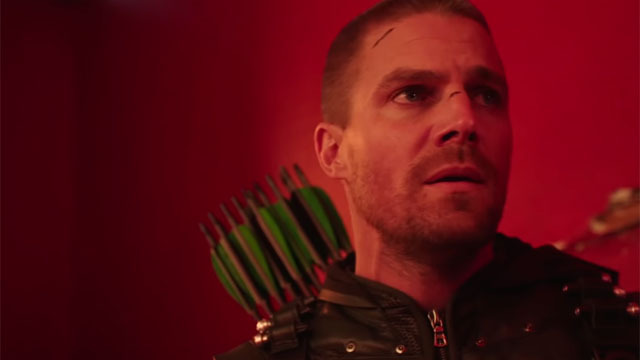 What’s next for the man formerly known as the Green Arrow? According to the trailer for Arrow season 7 episode 8, it’s going to be more of the same. The only difference in “Unmasked” is that everyone knows that Oliver is the Green Arrow, so there’s not much of a point to hiding his identity. Obviously, he’s going to pick up where he left off, even if it’s not a particularly good idea. There are a few lingering issues, including the identity of the new Green Arrow who has been running around in Star City. According to The CW, “Unmasked” will also revisit Diggle and Lyla’s investigation into corruption at ARGUS. Meanwhile, Felicity is going to have to make a significant choice as well. Of course, there’s also the flash forward plotline with William and Roy Harper in the future. Old William previously indicated that he never reunited with Oliver and Felicity. Perhaps we’ll find out why next week. “FELICITY MAKES CERTAIN DECISIONS FOR HER FAMILY — Felicity (Emily Bett Rickards) stands by her recent decisions regarding her family. Arrow season 7 episode 8: “Unmasked” will air on Monday, December 3. You can watch the new promo below, and then let us know what you think in the comment section below!